Digital filing system for receipts, business cards, and documents. Is there a better alternative to Neat? Is Neat really the best app in Applications category? Will Neat work good on macOS 10.13.4? 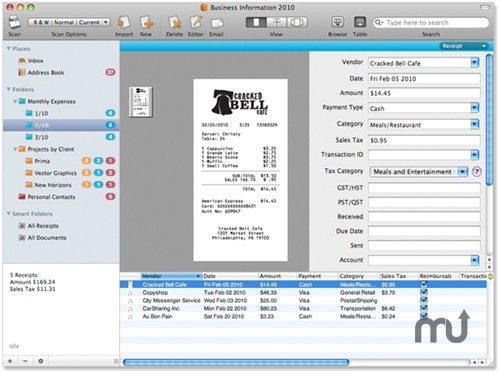 Neat (formerly NeatWorks) is a powerful scanning and digital filing system that enables you to scan and organize receipts, business cards, and documents. Unlike other scanning software, NeatWorks for Mac uses patented technology to identify and extract the important information from your paper and automatically organizes it for you in a digital filing cabinet. Create expense reports, searchable PDF files, and IRS-accepted copies of your receipts for an organized library of all your important information. You can even scan business cards and send them directly to your Address Book. Note: According to the developer, all versions of Neat prior to version 4.5 are being retired. Additional information can be found here. The published price is per-month cost of the Essential software plan. Additional pricing information can be found here.